I was about 9 when Mork first showed up in an episode of Happy Days. I remember loving that episode and the character and was overjoyed when I heard they were spinning him out into his own show. I watched every episode of Mork and Mindy and loved every minute of it. When I was in fourth grade, probably a year or two into Mork and Mindy’s run on TV, I did my first play. It was because of Robin. He showed me that I could take this crazy energy I had, this need to entertain my mother’s and sisters’ friends, my friends, my teachers (ok, maybe more drive my teachers crazy) and I could get onto a stage and harness that power for good. I act today because of Robin. 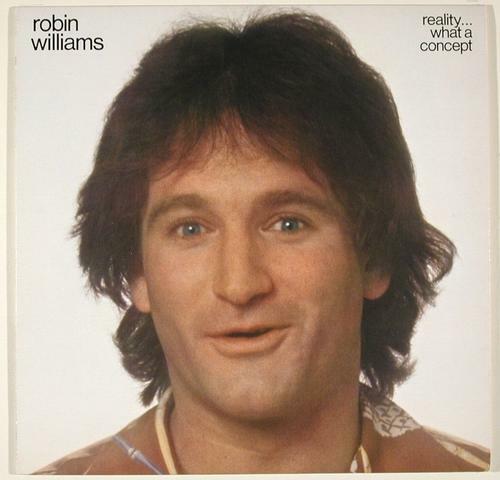 In fact, so much of who I am comes from the influence of Robin, Steve Martin, Firesign Theater, Monty Python and more. But Robin was there first. And he was a blazing star to me. I don’t generally get upset at celebrity deaths. But a few have really hit me hard. Carl Sagan and Jimmy Stewart, to name two, did hit me hard. But this is the cruelest cut of all. I will always love Robin for the laughs and also for his more heartfelt moments. 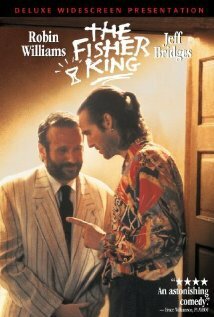 The Fisher King has always been one of my favorite movies for his inspired performance. And I haven’t seen Good Morning, Vietnam recently enough and need to watch it again. I wanted to write this last night when it was fresh in my mind but I was just unable to get the words out. Even now, it is hard and I find myself tearing up. I’ll leave this here and just say that the world is a far better place because Robin was in it and rather than be sad he is gone, I will focus on celebrating what he has left us to enjoy and that I am very much the person I am today because of him. Thank you, Robin and rest in peace.